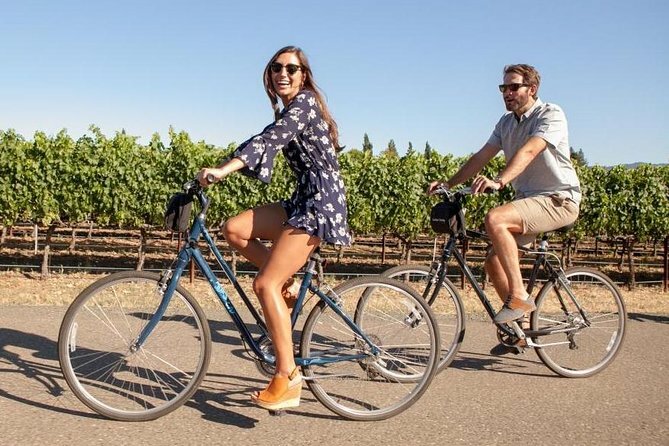 Bike rentals delivered only within Sonoma Valley! You will be delivered a new hybrid comfort bike with helmet, lock, map and more. With help, you will be sized for a bike, be pointed in the right direction, as well as be provided with the knowledge only a local knows about the area and it's secrets. Then, off you go to enjoy the valley at your own pace. We meet at your hotel, rental house, or destination of your choice with all your gear to make your rental experience as hassle free as possible. Following the rental, the bikes will be picked-up from the same location bikes were originally dropped off. Local guides will spend time with you explaining the maps of the area and where is best to ride (and most importantly, not to ride) helping you to customize your perfect wine country day. Bikes will be picked up from you, any location.